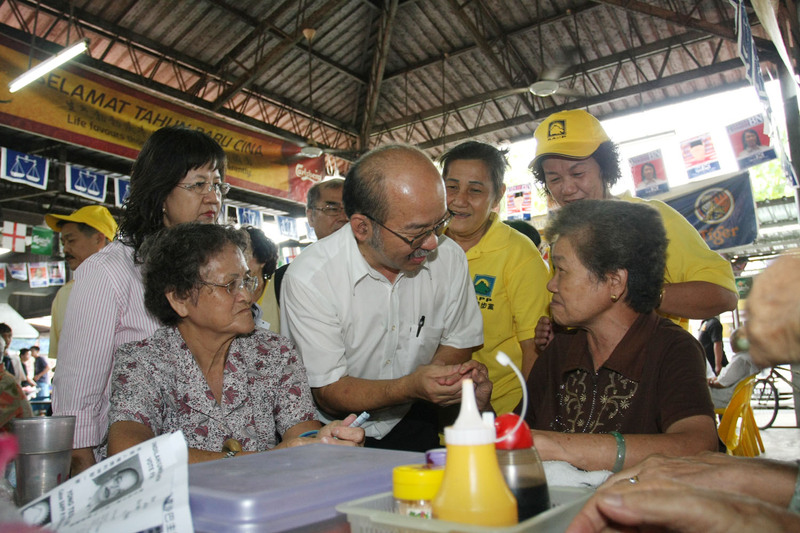 Sandakan : Reliable sources has confirmed that the Barisan Nasional (BN) candidate for the parliamentary seat of P.185 Batu Sapi will Datin Linda Tsen Thau Lin, the wife of the late MP Datuk Edmund Chong Ket Wah. 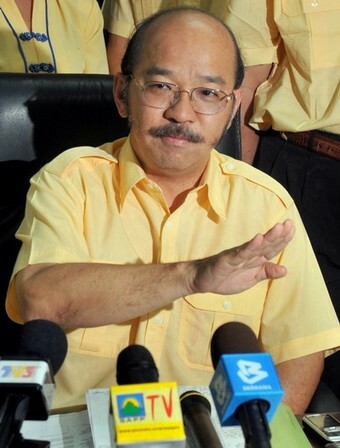 The announcement which will be made at 2.00pm by the BN Sabah Chairman YAB Datuk Seri Panglima Musa Haji Aman will pit a new comer against a giant in Sabah Progressive Party (SAPP) President Datuk Yong Teck Lee who will also be contesting the seat. Sandakan has been a hive of activities with Parti Gerakan Rakyat Malaysia (Gerakan) having its Sabah State National Delegates Conference at the community centre here. 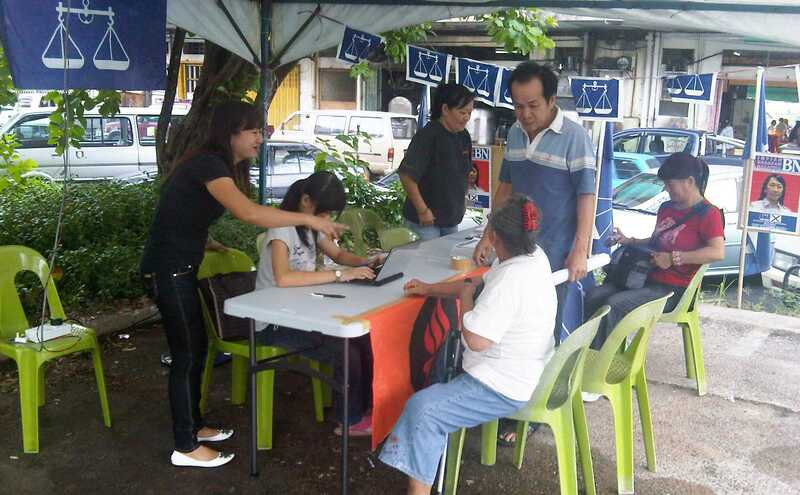 BN leaders and supporters have also been arriving to lend a hand in the campaign for the by-election. Pakatan Rakyat Leader Datuk Seri Anwar Ibrahim is also expected in Sandakan to announce their candidate in making it a minimum three corner fight for the seat which fell vacant following the fatal accident of the incumbent. 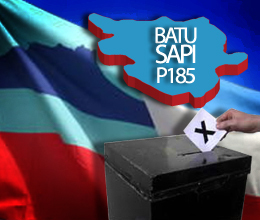 It is believe Sabah Parti KeAdilan Rakyat (PKR) has reach a consensus on who will be their candidate for the parliamentary seat P.185 Batu Sapi. The de factor leader of PKR Datuk Seri Anwar Ibrahim who arrived in Sandakan on the earliest flight are in a meeting with PKR DIrector for Election Fuziah Salleh, PKR Batu Sapi Chief Hasnar Ibrahim, Sabah PKR Chief Ahmad Tamrin. Also in the meeting is PKR Tuaran Chief Ansari Abdullah who is expected to be the chosen one for PKR. 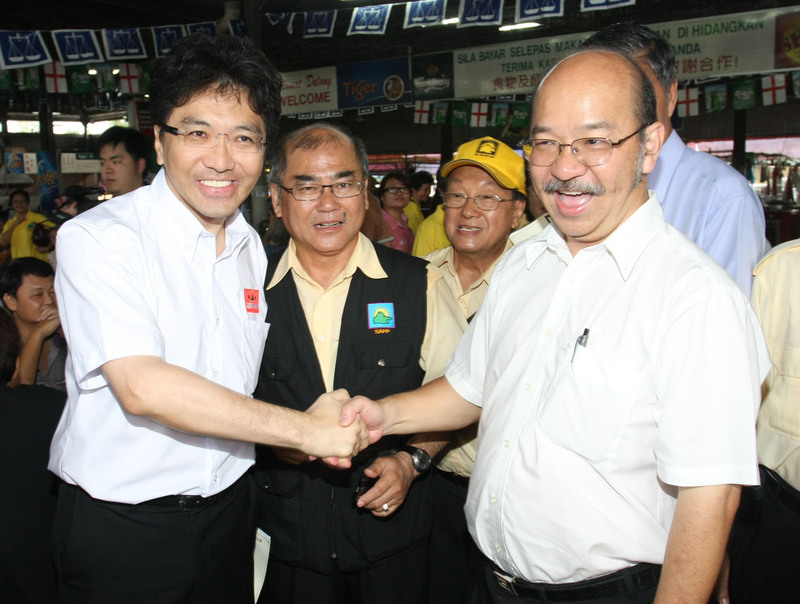 Sabah Progressive Party (SAPP) today announced its President Datuk Yong Teck Lee as the candidate for the parliament seat of P.185 Batu Sapi. The announcement made in conjunction with the opening of the new SAPP Sandakan office saw the presence of former PKR division leader Datuk Nahalan Damsal who supported the SAPP to contest the seat. The SAPP campaign is expected to be spearhead by former State Finance Minister Datuk Mohd Noor Mansor will see a keenly contest tussle for the seat by BN, PKR and SAPP. Both BN and PKR are expected to announce their candidate tomorrow but with more than 20 forms being sold by the Election Commission Malaysia, it is expected there will some aspiring independents offering themselves as alternative. 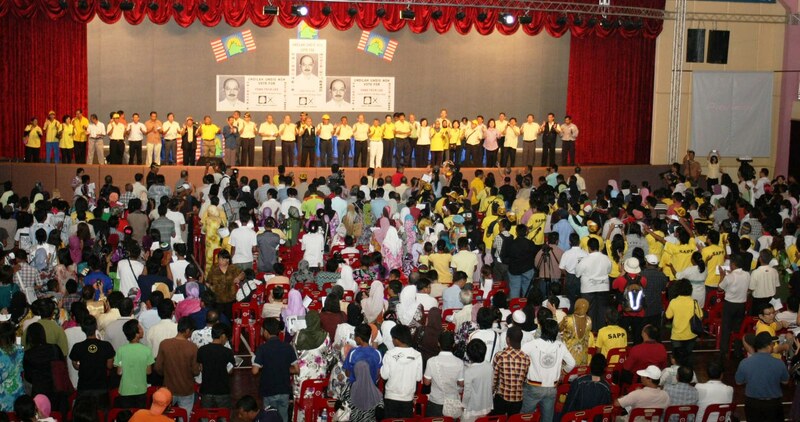 The contest will served a platform for every parties to test their strength given the current political climate of Sabah being a fixed asset for BN. As claim by Yong, there are a possibilities of three scenarios. One, BN victory with votes more then the combined of opposition parties; two, BN victory with less than the combined votes for the opposition and three either opposition party wins. In the first scenario, everyone would have to go back to the drawing board and re-strategize again. Two the opposition would have to sit down to discuss on proper seats sharing and three BN is finished. With SAPP announcement all eyes would now be on who are the PKR and BN candidates ? It is getting interesting here. Another insider news just received from Sabah has this ;-BN will have a very testing and tough fight against Yong Teck Lee. The ground is in favour of the former CM but many “goodies” will be thrown in which will benefit the people of P185. At 9.35am our SAPP insider said it’s confirmed. Yong Teck Lee President of SAPP will be the candidate for the upcoming by election P185 for SAPP. Its a clear sign and a test for the slogan,’Sabah for Sabahans” which SAPP has been using eversince they broke away from the BN coalition. It is now 100% confirmed that Sabah Progressive Party (SAPP) will contest the Batu Sapi parliamentary seat in the 13th by-election to be held in Malaysia. The seat fell vacant with the demise of the incumbent Datuk Edmund Chong in a superbike accident involving a Mercedes Benz S320. The nomination has been set at 26 October with polling on the 4 November 2010. 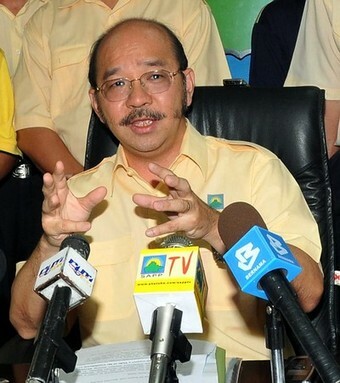 Its confirmed that Sabah Progressive Party (SAPP) will contest the Batu Sapi parliamentary seat in the 13th by-election to be held in Malaysia. The seat which fell vacant with the demise of the incumbent Datuk Edmund Chong in a superbike accident involving a Mercedes Benz S320. At this time, the party leadership are still in a meeting with the local CLC leaders on the plan for the by-election campaign. Although no names on who will be representing SAPP in this contest, it is believed that a local leader will be picked. As a party which practises non racial politics, a party leader who prefer to remain anonymous said that our candidate chosen is capable and we do not look at race as an issue. The important thing is he or she is ready to shoulder the challenge to serve the local community and bring about change to fulfil the party struggle to bring changes to Sabah political scenario. Efforts to contact the other opposition leaders for their comment were not successful. While SAPP have their candidate in mind, it is believe Sabah Pakatan Rakyat have yet to come to a consensus on their choice of candidate. 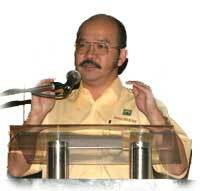 The interesting thing is that on the evening of polling day 4.11.2010 will see Prime Minister YAB Dato’ Sri Najib Tun Razak hosting a dinner for his Facebooks friends and on 5.11.2010 will witness the SAPP Congress. Who will win? We will know then.